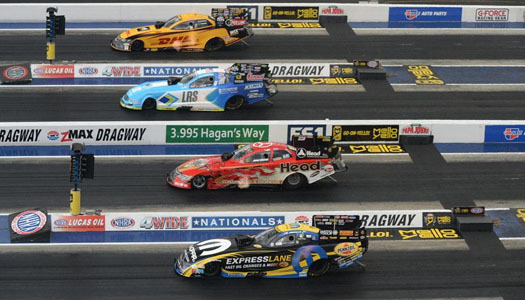 Drag racing takes center stage in Las Vegas at the Las Vegas Motor Speedway. The fastest cars in the world line up, 4 wide, and race for glory over 3 exciting days. *Schedule is subject to change. All times are Pacific.